Dillon, in Summit County, Colorado is a great location for winter and summer activities, just 1 hour from Denver on I-70. There are 7 major ski areas with some of the greatest skiing and snowboarding in the world within minutes of Dillon. Also nearby are eclectic restaurants, exciting night life, Lake Dillon Theatre and outdoor concerts at the Dillon Marina amphitheater. The Dillon and Frisco Marinas offer boat rentals, tours, kayaks and canoes, and a water taxi between Marinas. Summit County has some of the most scenic beauty in the state of Colorado with hiking, biking, whitewater rafting, water skiing, rock climbing, fishing, golfing, snowmobiling, jeeping, motorcycling or shopping at the Outlet Stores. This area truly offers something for everyone! Our condo has 2 bedrooms and 1 full bath, is located on the top floor (one flight up) chosen for the mountain views from every window and the balcony. There is a fully equipped kitchen with microwave, dishwasher, glass top stove, refrigerator with ice maker, coffee maker and grinder, popcorn popper, blender, toaster, crock pot, plenty of dishes, pots and pans for all your cooking needs. Quality linens on queen beds in each bedroom and an additional sleeper sofa in the great room. The bedrooms have a large closet, night stands on both sides of the queen bed with lights, a clock/radio, a dresser and cable TV. Each bedroom has a large window to bring the view into your bedroom. Free WiFi is available in the condo and also at the clubhouse. There are 2 parking passes provided for your convenience. One is used with the numbered space next to the building the other is for the undesignated spaces away from the building. The clubhouse includes a heated indoor pool, indoor hot tub, sauna (womens locker room), showers and lockers. After a day of hitting it hard on the mountain whether you are skiing, snowboarding, mountain biking or hiking, nothing is better than to soak in the hot tub. There are pool tables and ping pong tables on the lower level. The main level has a large community room where you can watch the pool activity, or relax watching the big screen TV, read a book or surf the net with your laptop and free WiFi. If you have more than 2 vehicles in your group, ask at the office for your temporary parking pass; this is where your extra vehicles need to park. Please try to conserve and carpool. Outside are tennis courts, basketball courts, a BBQ area, and children's playground. The back (west) side of the clubhouse where you pickup your keys is the entrance for the laundry facilities. Keystone Resort is 12 minutes away, 5 more to Arapahoe Basin, 15 minutes to Loveland ski area, 15 minutes to Copper Mountain, 25 minutes to Breckenridge, 35 minutes to Vail, and 45 minutes to Beaver Creek/Arrowhead. Amazing terrain parks, unbelievable back country powder and groomers, cross country skiing, snowshoeing, something for every style and ability. For family fun there are tubing hills with lifts at the Frisco Adventure Park and Keystone Adventure Point and the Copper Mountain Tubing Hill, Breckenridge Fun Park at the top of the Breckenridge Gondola or ice skating at Keystone, Silverthorne, Breckenridge and Vail. In summer, many ski areas offer lift services to the mountain tops; then ride, bike or hike down. Paved trails to Breckenridge, Keystone, Frisco, Copper Mountain, and Vail. Lake Dillon features spectacular views and outdoor concerts and events during the summer. Factory Outlet Stores are just five minutes.There is a FREE bus (Summit Stage) to the ski areas, towns, Outlet Malls, restaurants and trails. Hi, I'm Bryan. My wife Jill and I live near Denver. We enjoy Summit County and it's surrounding area for the year round outdoor life; snowboarding, cross country skiing, snowshoeing, road and mountain biking, hiking, backpacking and fishing. We have 2 happily married children and 4 grandchildren in Colorado. 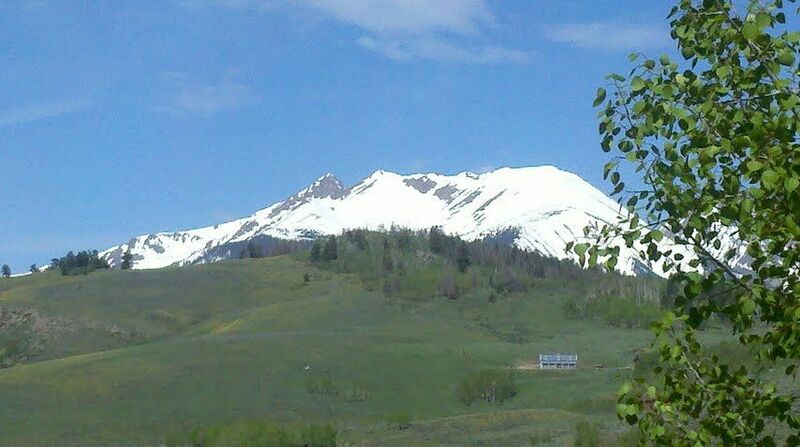 The Dillon area is in the middle of the Colorado Rockies, yet only an hour from Denver. It offers numerous outdoor activities; 7 near by ski areas, beautiful lakes and streams and an abundance of wildlife.There are hiking and biking trails and fishing just outside our door. Top floor mountain views, close to national forest and stream, easy access to I-70 and several ski areas, close to conveniences like: shopping, restaurants, bars, live music, just a few hundred feet to the Summit Stage free shuttle. Get your parking pass at the clubhouse. There is one designated parking spot next to the condo and “when available” a second vehicle can be parked away from the building. Always display your pass. WiFi internet access and smart TV. High quality bath towel, hand towels and wash clothes. 50 inch HD smart TV in the great room, and 32 inch TVs in each bedroom. Covered balcony with exquisite mountain views. Overall loved the condo. It was close and convenient to a lot of things! The only negative we had was difficulty getting the key but the manager helped work things out and was on call for us throughout the week. Very Nice Apartment. Very well appointed. The apartment is well appointed, in very good condition with good quality linens, a very well stocked kitchen, with lots of plates, cutlery and glassware. Comfortable furniture in good condition. A nice balcony with a nice view. Nice quiet location. And located close to everything. And even over the New Year holiday ample parking. And the Fabels were great to book with. Quick responses and accommodating. We were there from.Dec 26th to Jan4th 2018. Looking forward to returning next year and staying here. Thank you for staying with us during the holiday season! We are happy you enjoyed your stay and the condo, itself! Happy 2018 and we hope to host you again! The good: good correspondence from property manager and owner. Very prompt and accommodating!! Location is convenient. Condo has a nice kitchen update. Condo is Very clean. Plenty of towels (my vrbo pet peeve is not enough towels!!!) well stocked kitchen. Easy parking. They set the lock code to the last 4 digits of my cell phone making it a breeze to remember. Beds and pillows are super uncomfortable. Obtaining the key was a bit confusing as there are soooo many lock boxes in no particular order. But really not any pertinent negatives. Had a wonderful stay!! Thanks for everything. This is a well furnished property in a great location. The kitchen has everything you need. The beds were comfy and it was very clean. Two thumbs up. A beautiful place in a great location! Clean and comfortable. Really enjoyed our stay and would enjoy doing it again. Thanks so much! We are delighted that you enjoyed your stay and hope to host you in the future! Thank you very much for being such great guests! The process of getting the key went smoothly. The Fables did a great job communicating clearly. We enjoyed fluffy white towels and a fully equipped kitchen. Through the patio window we marveled at the mountains and the humming birds. A great base for our cycling, rafting, and hiking adventures. A relaxing place to kick back in the evenings. Dillon, in Summit County, Colorado is a great location for winter and summer activities, just 1 hour from Denver on I-70. There are 7 major ski areas with some of the greatest skiing and snowboarding in the U.S within minutes of Dillon. There are excellent restaurants, exciting night life, Lake Dillon Theatre and outdoor concerts at the Dillon Marina amphitheater. The Dillon and Frisco Marinas offer boat rentals, tours, kayaks and canoes, and a water taxi between Marinas. Summit County has some of the most scenic beauty in the state of Colorado with hiking, biking, whitewater rafting, water skiing, rock climbing, fishing, golfing, snowmobiling, jeeping, motorcycling or shopping at the Outlet Stores.